Event and meeting participants can us our break areas to exchange information and relax, gathering strength for the upcoming activities. Choose from one of our package offers to host your event or meeting or alternatively, let us create an individual package for you. For fewer than 10 people, we charge a meeting room hire fee according to the room. 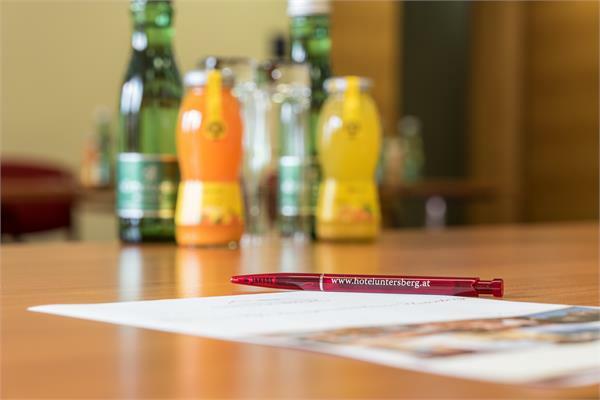 The event package includes only food and drink consumed in the event area! We charge between €55 and €180 for the room, depending on the size of the room and the duration of hire. No room hire charge for bookings of 10 or more event packages! Are you interested in holding an event in our hotel? We would be delighted to send you more information or provide a customised offer.